The summer is here. That means summer vacation, days at the beach, ice cream on a hot afternoon, and swimming in the backyard pool. It’s no wonder why fibreglass pool installations happen so often this season. We at Elite Pools have been working on fibreglass pool installations for long enough to understand why our customers love them so much. But of course, they aren’t for everyone. Other cases call for concrete or even vinyl liner pools. So, what are the benefits and drawbacks to fibreglass pools? Let’s look into it in more detail. There are three major types of residential pools: fibreglass, concrete, and vinyl liner. • Fibreglass pools are made of one single component: a fibreglass structure made of several layers that cover the entire pool area. • Concrete pools have 3 main parts: a steel cage, a concrete covering, and a plaster layer. 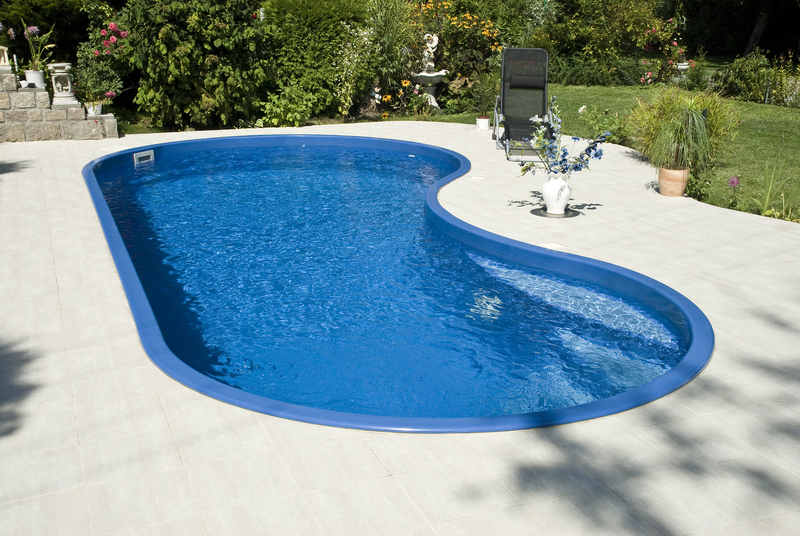 • Vinyl liner splits the pool into regions: a vermiculite or grout bottom with plastic walls and a vinyl layer on top. What Are the Advantages of Fibreglass Pool Installation? With fibreglass, you can start swimming earlier thanks to faster installation compared to other pool types. You can expect about 3 to 6 weeks for a project to complete compared to several months for concrete. Fibreglass is also more durable and resistant to punctures and scratches, removing the need to refine the finish. It also has a gelcoat that makes it algae-resistant. Overall, you’ll save money on maintenance when you choose a fibreglass pool. Fibreglass, in addition, is compatible with salt water pools if that’s your style. While salt can wear away at the foundation of concrete and metal, fibreglass remains strong. And finally, you’ll have more customization options when it comes to aesthetics, whether it’s lighting, colors, or ceramic tiles. Fibreglass pool installation might not be for everyone for a couple of reasons. First off, while your aesthetic options are varied, your choice of shape and size can be limited since fibreglass pools are made using pre-made molds. Second, while maintenance costs are lower, the initial investment for fibreglass pool installation can be higher than for other pool types. Expect to pay up to $80,000 for full manufacture and install, though depending on how long you’re expected to keep your pool, you might make the money back through lower maintenance costs. Overall, fibreglass pools are still largely the recommended option for most residential homes despite these drawbacks. We at Elite Pools can help your family minimize the extra cost and streamline the installation process. Does fibreglass pool installation sound like it’s for you? Request a quote from Elite Pools today. We offer lifetime structural warranties and 20-year surface warranties on our pool installations so that you can have a risk-free summer of swimming. • There are 3 major types of residential pools: concrete, vinyl, and fibreglass. Each one has its advantages and disadvantages, though fibreglass is becoming the most popular type thanks to several factors. • Fibreglass pool installation is not only faster but also more customizable and more durable than concrete or vinyl. On the other hand, it has a higher upfront cost, and shape/size modifications might not be possible. • If you want the service of Ontario’s finest fibreglass pool providers, give us a call at Elite Pools as soon as you can. The summer won’t last forever!